"Rise & shine, Miami! All is ready for the sunny edition of the Gran Fondo Giro d’Italia in the Magic City: celebrity riders, authentic Italian merchandise and loads of fun will be a perfect conclusion of the 2012 cycling season. 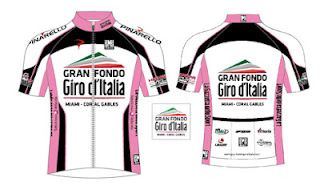 The Gran Fondo Giro d’Italia Series brings to America a distinctive Italian touch, and it is organized under the iconic brand name of Giro d’Italia, one of the world’s largest cycling events and definitely the toughest. It is a ride (and not a race), open to different levels of ability, where thousands of perfectly outfitted cyclists join in to share the camaraderie and the exhilaration of this sport, eager to complete a unique course. But there is no doubt: from designer jerseys, to an exciting 2-day expo and an Italian post-ride meal, everything about this event will be a memorable experience! All the participants in Miami can even take a picture with the original trophy of the Giro (Trofeo Senza Fine), as the winner of the Giro d’Italia usually does. Weather conditions are, of course, expected to be splendid. Yet cyclists will have to face their challenges, a sweet price to pay for this unique adventure. Starting from Coral Gables “Miracle Mile,” participants tackle one of the three scenic courses available (25 miles, 54 miles and 100 miles), riding through beautiful buildings, wonderful gardens and magnificent homes. The longest ones will continue South and West into the vast agricultural areas of South Florida, passing fields of palms and tropical shrubbery. Rest stops, especially on the long course, are situated at some of South Florida’s best known tourist locations: a beautiful historic estate, a beloved fruit stand, and a unique nature preserve. The Finish Line and the Expo will be in front of Miami’s famous City Hall, formerly the Pan American airlines terminal. 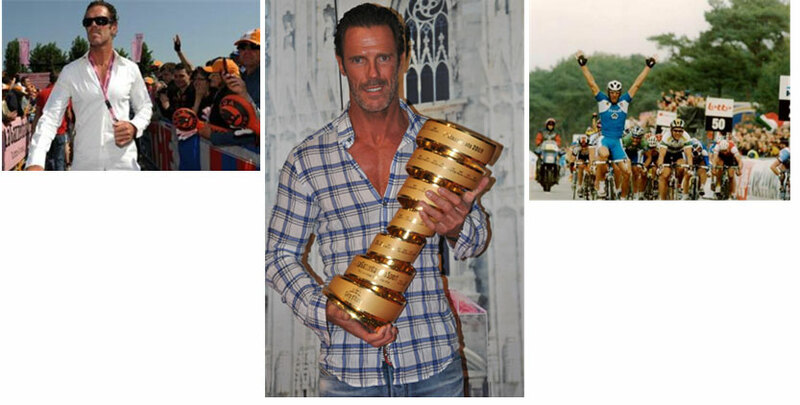 Mario Cipollini, also known as "Super Mario", "Cipo" and "Lion King" will be riding in the Magic City! 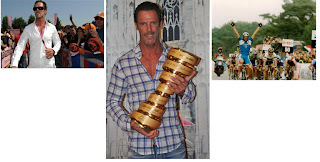 Cipollini is a true champion who has won the most stages of the Giro d'Italia (42), in addition to the World Road Cycling Championship, the Milano San-Remo, three Gent-Wevelgem, and 12 stages of the Tour de France, culminating in an impressive record of 189 total victories in his long and acclaimed career. The Gran Fondo Giro d’Italia Miami-Coral Gables starts in Coral Gables on Miracle Mile. The ride begins at 7:00 am, with a police escorted rollout on Miracle Mile, Ponce de Leon Ave, and beyond. The course loops around a traffic circle, so you will ride past the thousands of other participants as you head back up Ponce towards Miracle Mile. You’ll pass Coral Gables City Hall, a beautiful Mediterranean Style building, constructed in 1927, built mostly from Coral rock, past the Historic Biltmore Hotel heading south along lush avenues flanked by wonderful gardens and magnificent homes. At mile 11 the riders will have the option of turning on the short (25 mile) course, and heading toward the finish line in Miami. For those riders that continue, the route moves south into the communities of Pinecrest, Palmetto Bay, Cutler Bay and eventually to Black Point. At mile 25 the riders have the option of choosing the medium distance route (54 miles) and returning to Miami. The long distance route (101 miles) will continue South and West into the vast agricultural areas of South Florida. Riders will pass fields of Palms and tropical flowers and will see wonderful fruit stands that sell local produce and fruit milkshakes. Cyclists will test their endurance, battling against wind, heat, and humidity. Rest stops, especially on the long course, are situated at some of South Florida’s best known tourist locations: a beautiful historic estate, a beloved fruit stand, and a unique Nature preserve. Registration is limited to 2,0000 riders, prices vary. Visit active.com for complete details. All courses are subject to change at the organizers discretion per the requests of the municipalities and other agencies.